We are a local family run business based on the Isle of Wight. We pride ourselves on offering a friendly, efficient and dedicated service to our customers. We have been at the forefront of quality used car sales, MOT's, service and repairs on the Isle of Wight since 1997. 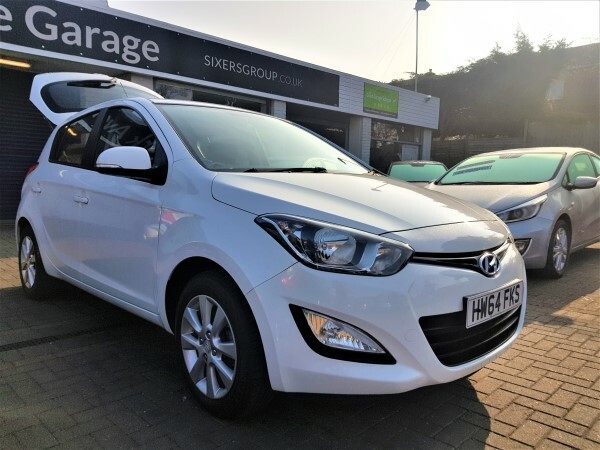 Specialising in locally sourced, expertly prepared used cars, we can provide you with a wide range of makes and models at a range of prices to suit every pocket. New stock arrives daily so it is always worth talking to a member of our sales team. If by chance you don't find what you're looking for we also offer a vehicle sourcing service, our sales experts will be more than happy to accommodate your requirements. We also have fully equipped garage workshops using the latest diagnostic technology and equipment to offer everything the motorists needs for an MoT, repairs and servicing. Every car is looked after by a professional, highly skilled mechanic so you know you are in good hands. We are trusted by our customers to maintain, repair and service their vehicles to an extremely high standard. We have two main vehicle service centres: Carisbrooke Garage in Newport and York Avenue Garage in East Cowes. Both service centres have specialist tools and equipment needed to maintain the modern car or van. Your vehicle will be looked after by a team of trained, experienced technicians with access to the latest diagnostic equipment. We work according to manufacturer guidelines alongside the Good Garage Scheme code of practice. We always try to find the fault before replacing any parts to keep costs down. We do not replace parts which do not need replacing, other dealers replace parts to try to fix problems ultimately costing you, the customer, more money. Here at Sixers Group, we strive to maintain the highest level of customer satisfaction and do our best to ensure you made the right decision in entrusting your vehicle to us. We always do our best to help you understand the issues with your vehicle and the repairs needed before you commit to any work. Be assured, any course of action taken is genuine and cost effective to you. We offer all types of mechanical repairs and services for all makes and models of cars and vans. Our services include parking sensor fitting, gear box overhaul both manual and auto, wheel bearings, welding, auto electrics, audio in car entertainment systems, head gaskets and much, much more. Our special offer, fixed price, car servicing plans mean no surprises when you book with us. We can also provide an interim minor service and offer winter and summer checks to keep you and your vehicle happy throughout the year. The modern motor vehicle is highly sophisticated, most of the engine and electrical devices are controlled by computers. Our workshops and service centres located in East Cowes and Newport are equipped with the latest diagnostic equipment and our trained, expert technicians can carry out full diagnostics on your vehicle. Our air con service will drain and recharge your system with fresh gas and vacuum out any bacteria. We also make sure your compressor and condenser are working correctly. If you do have a bad odour coming from your car's air con we can even add a specialist cleaning product to eliminate this. If your car is over 3 years old it requires an annual MOT (Ministry of Transport) test which checks the vehicle safety, road worthiness and exhaust emissions. At Sixers Group we have fully equipped, modern MOT testing facilities. MOT test are only £35 with our free Loyalty Card and free for those who like our social media page and leave us feedback. We also offer you a free re-test if your car is left with us for repairs. Your exhaust system and catalytic converter on your car plays a major role in fuel efficiency and performance. If any part of your exhaust is damaged then your car will be using more fuel than it should. This may damage other engine components, so pop into either of our car service centres in East Cowes or Newport to have your exhaust checked by our expert technicians. If you have noticed any slip from your clutch or loss of drive in your vehicle then bring it along to us at either Carisbrooke Garage Newport (01983) 532200 or York Avenue Garage East Cowes (01983) 290028 and have one of our professionals give you expert advice on what is required. We offer our loyal and valued customers some great car deals. A Loyalty Card, which entitles you to an MOT for only £35 (normally £54.85), a free winter and summer check (normally £19.99 + vat each). Help yourself to a free brake check and free battery check. We also offer a free MOT to our social media followers who take the time to leave us feedback online. There is even free coffee, tea or hot chocolate while you wait. There is a lot free at Sixers Group so pop in with your vehicle today. Here are a few comments from our customers. Sixers Group is located in three locations on the Isle of Wight.